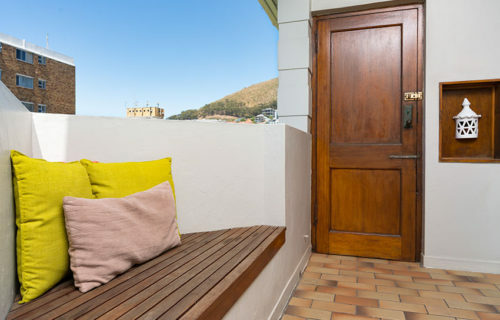 Situated on the top floor (2nd) A lovely one bedroom apartment in the heart of Sea Point, Cape Town, one street back from the beach and Sea Point Promenade. Entry to the apartment is via stairs only. 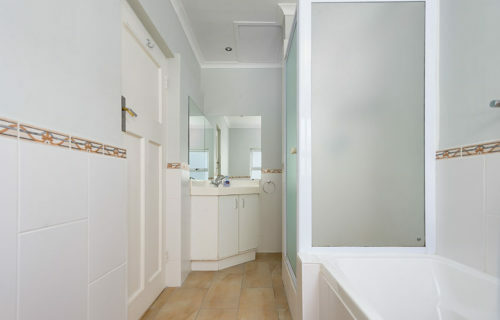 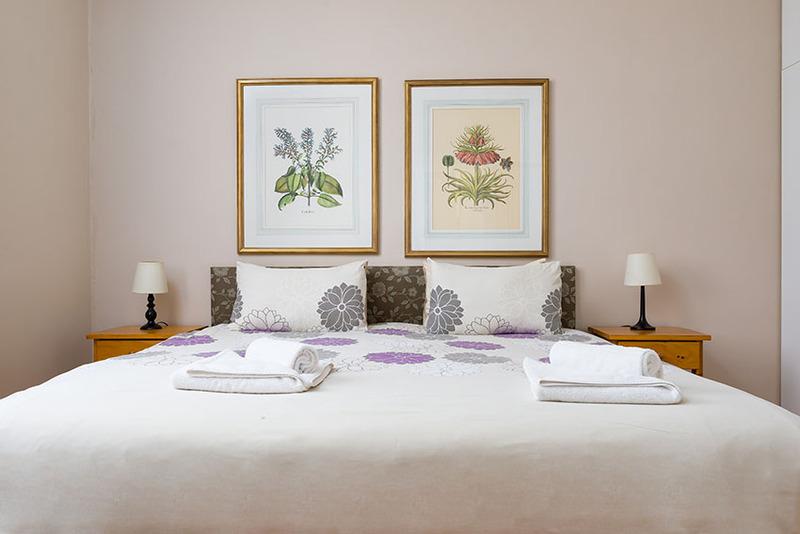 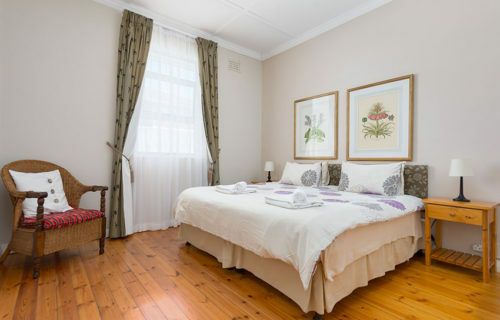 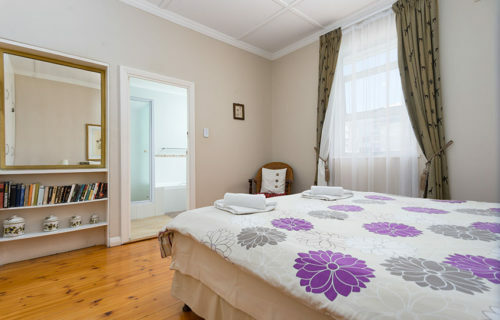 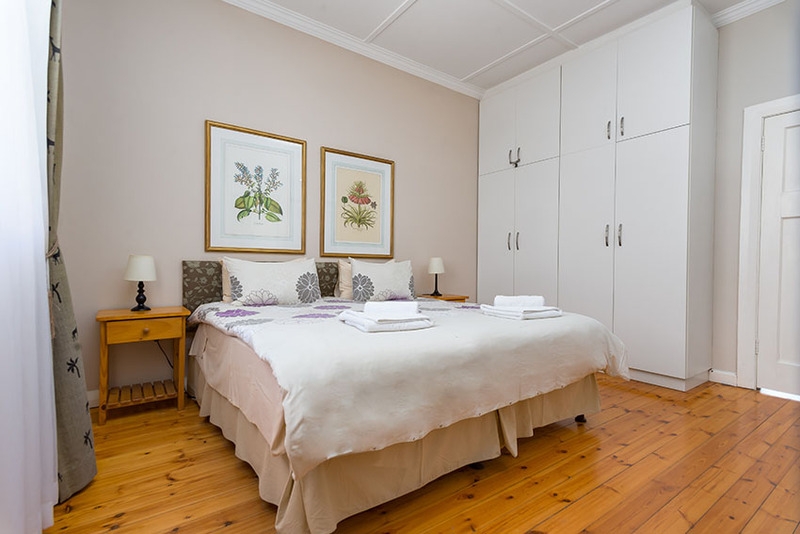 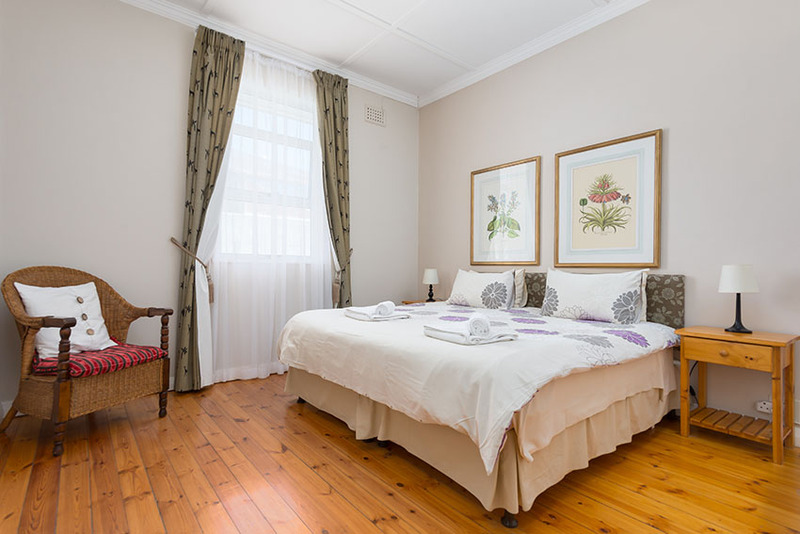 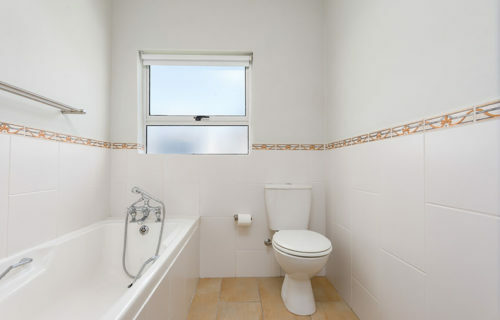 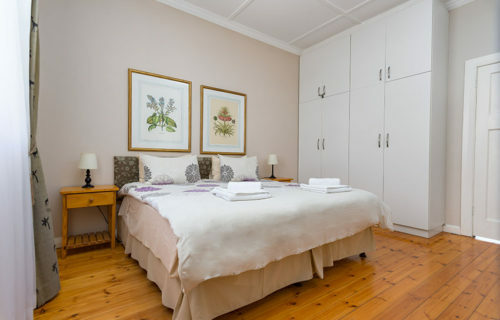 The bedroom of this Sea Point 1 bedroom apartment, has a king-size bed or 2 single beds with an en-suite bathroom with separate bath and shower. 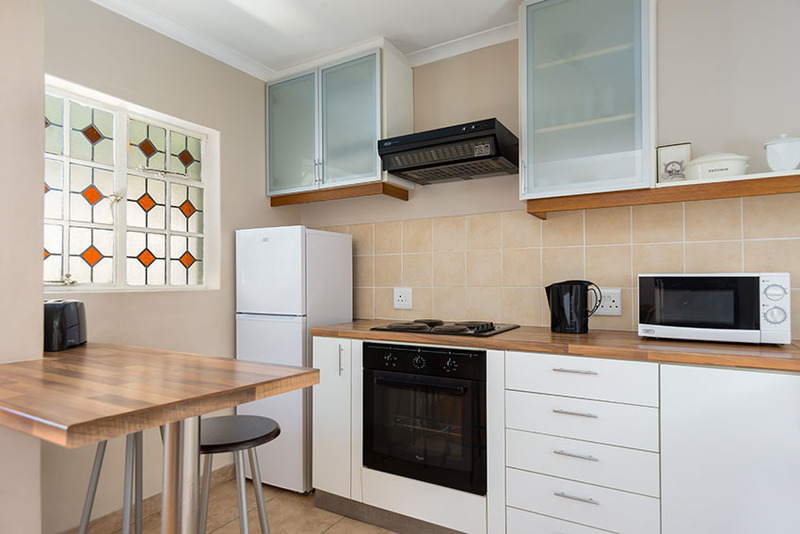 The open plan kitchen leads onto the comfortable living area. 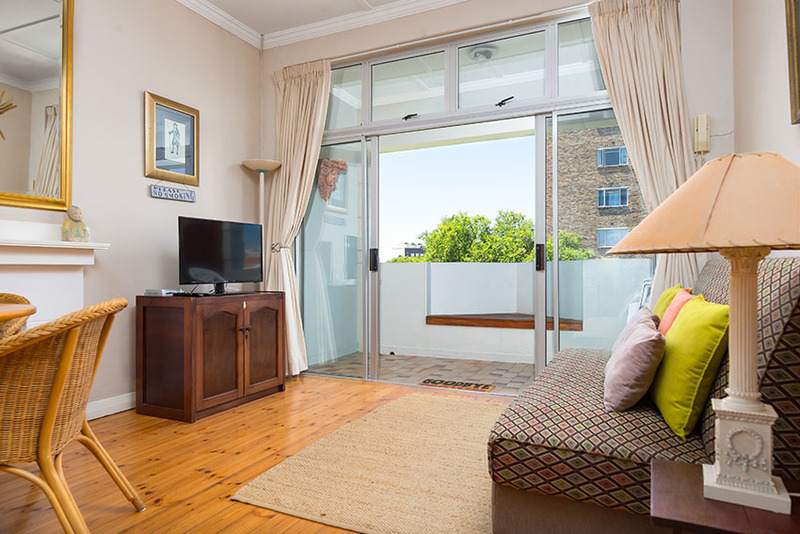 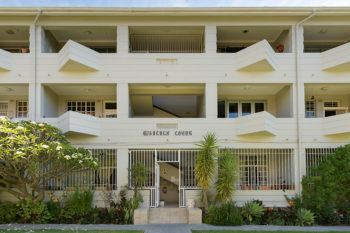 Sliding doors open out onto a balcony with sea views and a large expanse of garden. The floors are varnished Oregon pine. 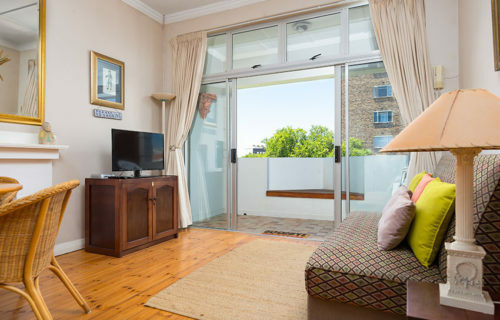 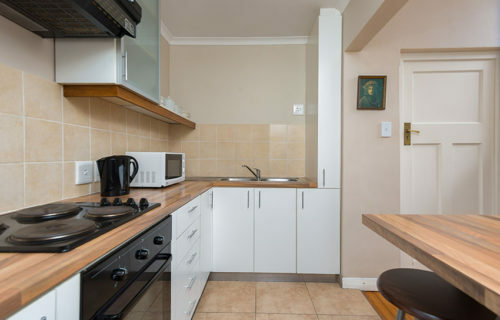 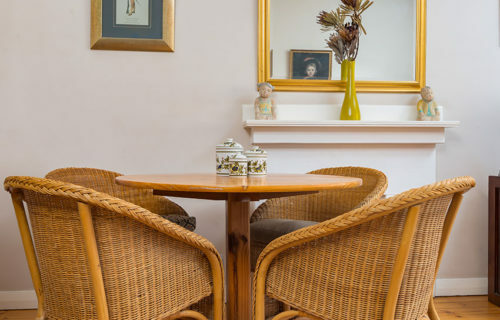 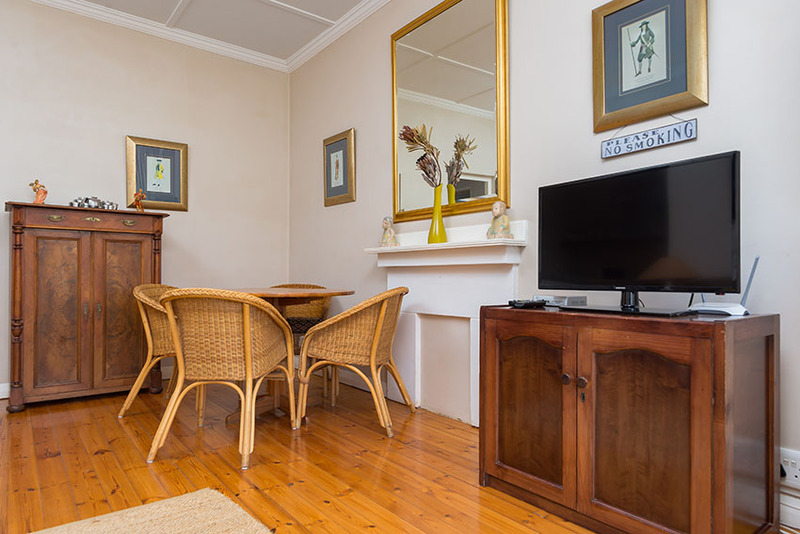 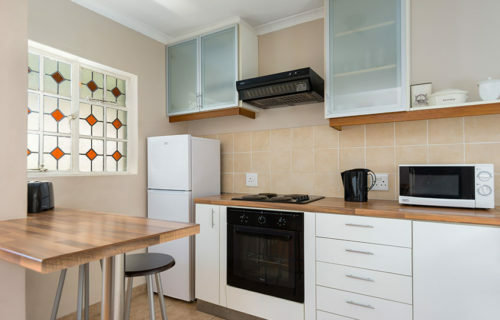 It is very conveniently situated near numerous restaurants, café’s, shops and the Sea Point Promenade. 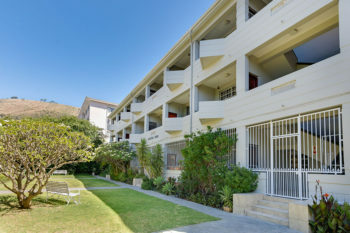 Parking is on street. 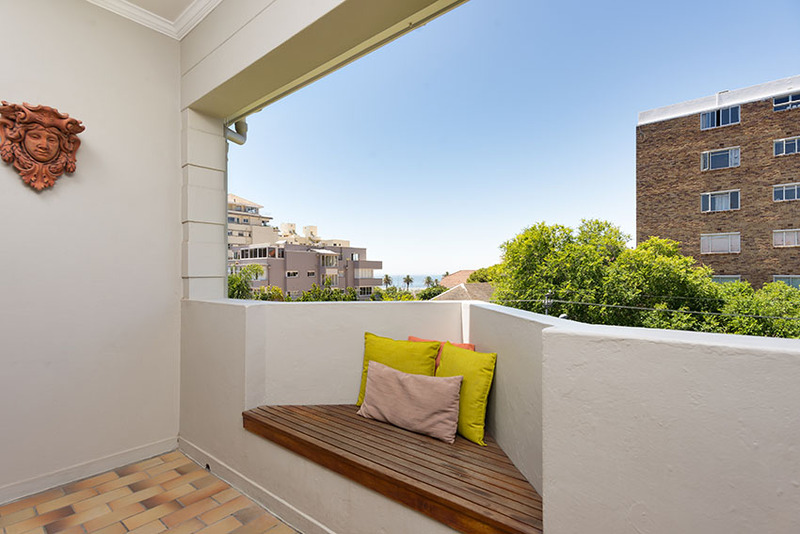 The beaches of Camps Bay & Clifton, the V&A Waterfront and Cape Town’s City Centre are only a short drive away from this Sea Point 1 bedroom apartment.